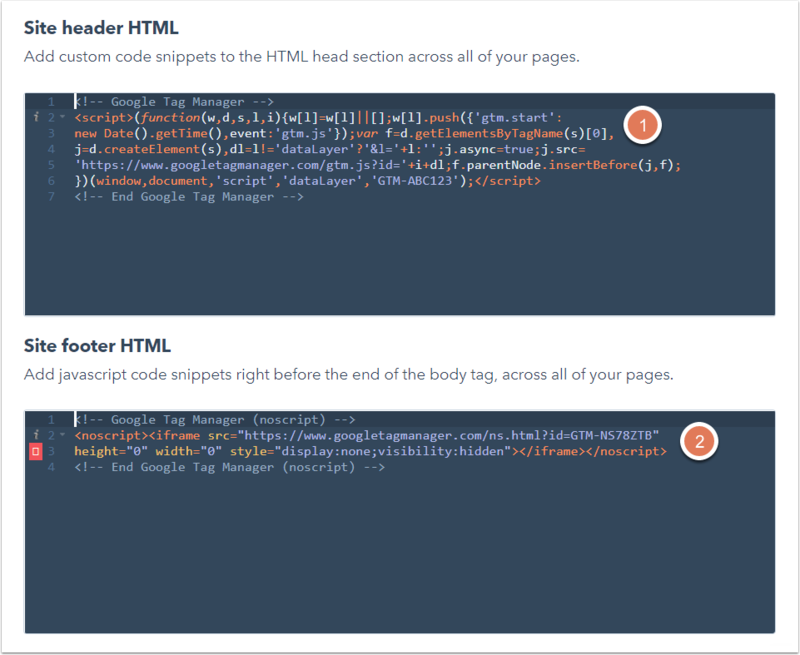 Please note: if you are embedding code from an external source, review the embed instructions to determine where the code should be added to your page HubSpot (header, footer, or in the body of your page). Learn how to add your Google Analytics code. 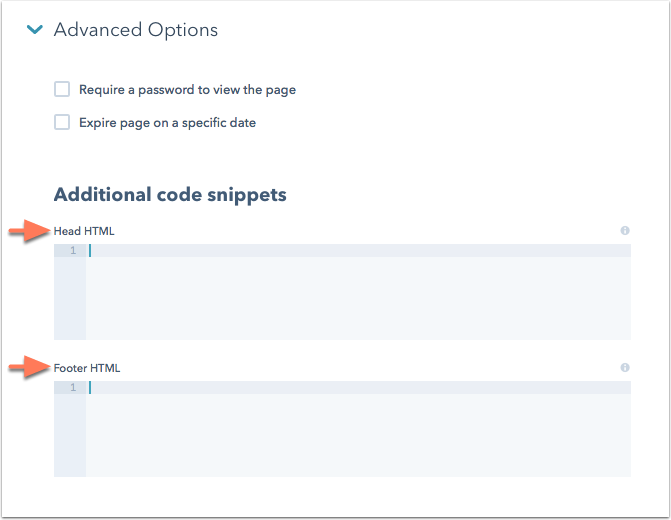 Click Advanced Options to open the Advanced Code Snippets section and enter your code into the Head HTML or Footer HTML field. Click the Modifying dropdown menu and choose the domain you want to update. Please note: when you add any code to the header or footer HTML for a specific domain, it will override code in header and footer HTML for All domains. Enter your code into the Site header HTML or Site footer HTML section.